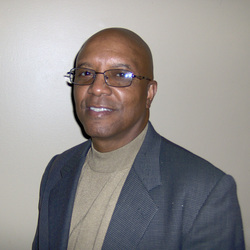 Meet our Executive Director, Bill Hardison! William V. Hardison (Bill) has a BA in Economics from Rutgers University in New Brunswick, NJ, a Masters in Public Administration (MPA) from Cornell University in Ithaca, NY and a Project Management Professional (PMP) certificate from the Keller Graduate School of Management. He has over 30 years of business experience in financial management and accounting. Bill has had several business ventures of his own and has been a Visiting Professer at DeVry University since 1994. He has also been active in several local community organizations: Habitat for Humanity; Kairos of Georgia Prison Ministry; Senior Services North Fulton and North Fulton Community Charities to name a few. He is a member of St. James United Methodist Church in Alpharetta where he has been involved with the Benevolence, Outreach, Finance, Music and Christian Education ministries. He has also made several church sponsored mission trips to: Mississippi (after Katrina); Haiti (after the earthquake); Ghana and Kenya. Bill is a New Jersey native and the oldest of four children. He and his wife Cheryl Ann celebrated 34 years of marriage this December 19th. They have lived in Alpharetta 21 years and together they have raised two sons: William, Jr.(Billy), a Georgia Tech graduate and their younger son, Brian DeLandro, a graduate of UGA. Billy, an IT professional, and his wife Alana are expecting their first child in February 2013 and Brian is a freelance artist and book illustrator. His hobbies include tennis, racquetball, chess, reading, and attending all types of sporting events. Email Bill by clicking here. Meet our Case Manager, Lynne Dyckman! 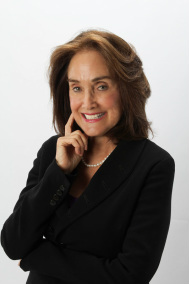 Lynne Dyckman has a B. S. degree from Boston University and a M.S. degree from Georgia State University. Lynne has over 11 years experience as a case manager for Housemate Match. Her experience included interviewing clients and placing them in safe affordable housing. She was able to help clients reach personal and professional goals utilizing extensive referral services and collaboration, if needed. Her marketing of the program included articles in numerous publications and interviews on radio and TV. Lynne was an active member of the Cobb Community Collaborative and served on their board. Lynne has lived in Sandy Springs for many years. Her two daughters also live in Sandy Springs. Kim, an Southern Methodist University graduate, is married and has 2 sons. Lauren is a Bureau graduate. Lynne enjoys ballroom dancing, aerobics and Greek cooking. She is a member of the Alliance Theatre Guild. Email Lynne by clicking here.